When you add a new dog or cat into the equation, it can bring about change to your current dynamic. If you're on the fence about adopting a pet, understanding the benefits and considerations might make the decision easier. Significant Health Boosts: Research indicates pet owners experience a number of significant health benefits. The act of petting or cuddling a dog or cat instantly brings down the heart rate. Interestingly, research also shows that the responsibilities associated with pet ownership are beneficial to people suffering from depression. Heart-Melting Affection: There's nothing quite like the feeling of love, acceptance and companionship that washes over you when your dog or cat snuggles into your lap or rests his head on your shoulder with a contented sigh. Bonding with an animal is an incredible experience, and their affection comes with no strings attached. Instant Mood Lifter: Having a bad day? You've got a furry ray of sunshine who is ready to make it all better — or at least make you forget about it for a while. Even just looking at a photo of your pets can trigger the warm, fuzzy feelings you need to make it through the day. Judgement-Free Companionship: Your pet is in it for the long haul, and as long as you love and care for him, his loyalty is guaranteed. Your cat isn't going to judge you if you nurse your cold in bed with a red, stuffy nose, and your dog won't be mad if you had a stressful day at work and go to bed early without playing fetch. 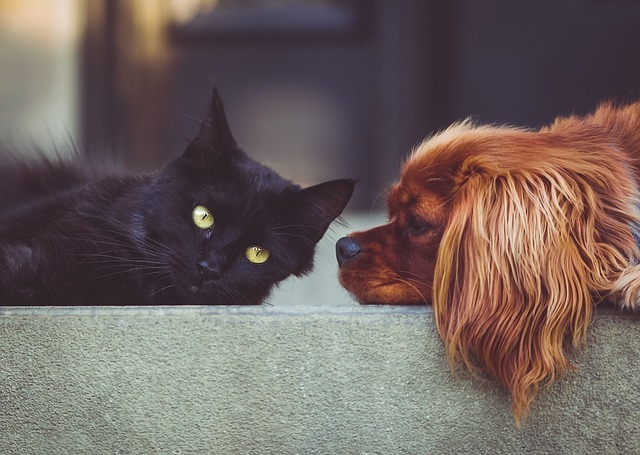 Social Supercharge: People with pets always have something to talk about, and your four-legged family members give you a good excuse to strike up a conversation with an interesting fellow dog or cat parent. And you'll have a whole new arsenal of fun stories to tell at parties, thanks to the new pet in your life. Lifestyle Changes: Dogs and cats are cute, but it’s important to consider how having a pet may shift your daily routine. Potty breaks and feeding times are just some of the new responsibilities you will take on when caring for a new pet. But even with these minor lifestyle changes, the benefits of welcoming a new pet into your family far outweighs any changes that you may have to make. Behavior Quirks: As living beings with complex brains, pets can develop unique personality quirks. Some of the quirks may be endearing—like a cat who always begs you to scratch her tummy—but others may require some extra attention. Thankfully, trainers and veterinarians are a great resource to reach out to when professional assistance is needed. Unsolicited Advice: Once you add a pet to your family, people may be quick to offer their unsolicited advice. Whether it's comments on the way you brush your cat or the hand signal you use to tell your dog to sit, the overly helpful advice may make you question your pet parenting methods at times. However, you know your pet better than anyone else, so it’s important to trust your own instincts. Teachable Moments: It's easy to assume dogs and cats understand behaviors you take for granted, but human rules don't apply to them. Until they have been trained properly, dogs and cats may not understand things like outdoor potty breaks and indoor cat potties right away. But while your pet may require extra care and attention to learn the rules initially, over time they will quickly learn the ropes. Unexpected Expenses: Vet visits, dog sitters, and obedience classes will start to make their way to your expense list, but this isn’t anything out of the ordinary for a pet parent. Routine checkups at the vet, and sometimes even unexpected ones, are a fact of life. Thankfully, the love and happiness that a pet provides far outweighs any expense. Your pet is an irreplaceable part of your family, and that’s something that you can’t put a price on. Very imformative. Thanks for sharing.